Your email signup form may look like this. (If not, you may see it somewhere else). Do you think it’s attractive enough to get a new visitor to opt in? We’re sure you figure out the answer. That’s why you should improve your list building strategy right now. There’s no time to wait! Building a healthy email list should be your top priority if you want to have a successful email marketing strategy. The healthier your email list is, the more likely you will have conversions. A healthy list means ongoing signups from people who seriously care about your brand (and your products). They actually want to hear from you. If your list isn’t “healthy”, you may end up sending emails to those who aren’t interested in you or to those whose emails don’t exist. Worse still, your email marketing campaign may fail. But, to collect the right emails, there is a big problem. It’s how you can make your visitors subscribe to you the first time they go to your site. More than 95% of visitors won’t buy anything on their first visit or even never go to a store again. It’s really sad, right? But it doesn’t mean that you can’t prevent that from happening. This article is all you need: the most effective list building strategies you can use to get more subscribers. Some of them are even the techniques your competitors aren’t using! Let’s play a small game. Which of the following do you want to enter your email? The high chance is you’ll choose the second optin form. 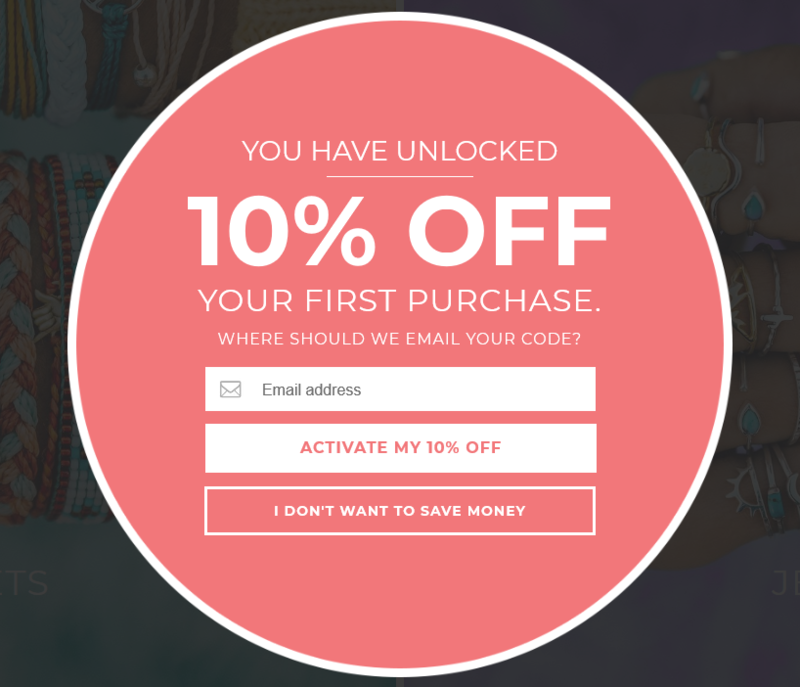 Just type an email, and get a discount instead of getting the latest news (which isn’t clear and worth to do). This is exactly how a lead magnet can help you win your customer. Basically, a lead magnet is a free “thing” as a bait. You use it to convince your visitors to leave their email address. In other words, your potential customers have to type their email into the box if they want to get the thing you offer. You want their emails, so you have to give them something they want in return. It sounds like a transaction. But, here you don’t sell any tangible product. You just sell the idea of subscribing to your list. This idea may not be something your visitors are looking for. At the same time, if they give you their email, they can go through the hassle like email spams and email stress. That’s why you have to brainstorm a very powerful lead magnet which brings real value to your visitors. The speed of your list building depends a lot on your bait. Valuable, attractive lead magnets can lead to tons of signups. Lousy, unattractive lead magnets can lead to a few signups. It’s one thing to understand lead magnets and how they can benefit you, it’s another thing to create an attractive lead magnet. Does it add as much value as possible? The better the offer is, the more visitors will take it. A free smartphone to every subscriber? It seems infeasible (in fact), but it would be a guaranteed 90% conversion rate. 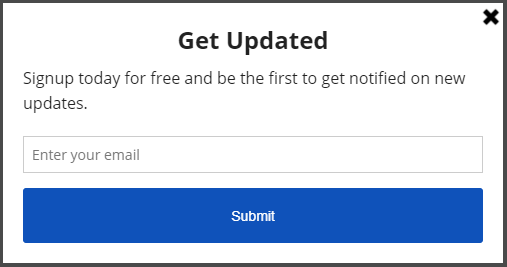 Try something less unwarranted, but start with the best possible idea and downgrade from there rather than “join to get news and free updates”. Does it evoke some emotional reaction? “For free, really!? I want it” or “What? 20% discount? I’ll do it!”. Those are some reactions you want your visitors to have when they see your bait. First, you need to create a hook: why this should be compelling to visitors. Then, craft a benefit-oriented description. 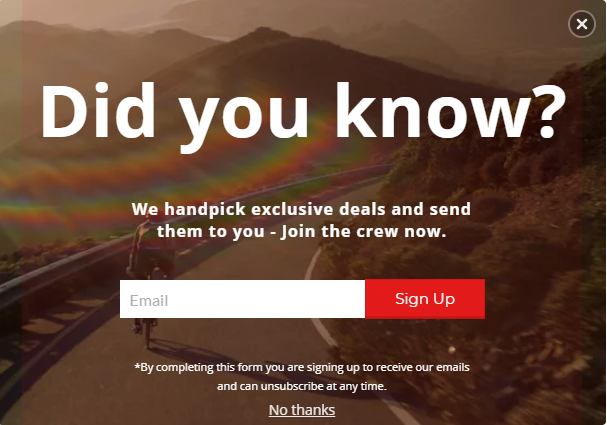 Promise: What they’ll get when they sign up for your site. Connect: Why you want to create this and for whom. In fact, you can give away anything you want as long as they are relevant and valuable to your customers. Offer something in large quantity or large amount. Generally, you just need to use an offer. However, you can double the reward if you want. 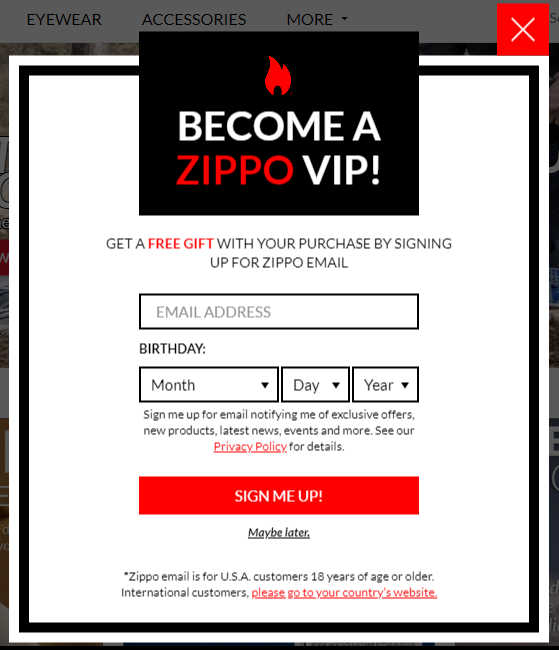 For example, Zippo offers their new visitors two giveaways to get emails. The first is the chance to become a Zippo VIP, and the second is a free gift. Many brands haven’t tried this technique to get emails. The key here is to gamify the experience of visitors while giving them rewards in return for their email addresses. Your visitors now not only have a chance to win a prize but also get a moment of fun. Such a win-win! 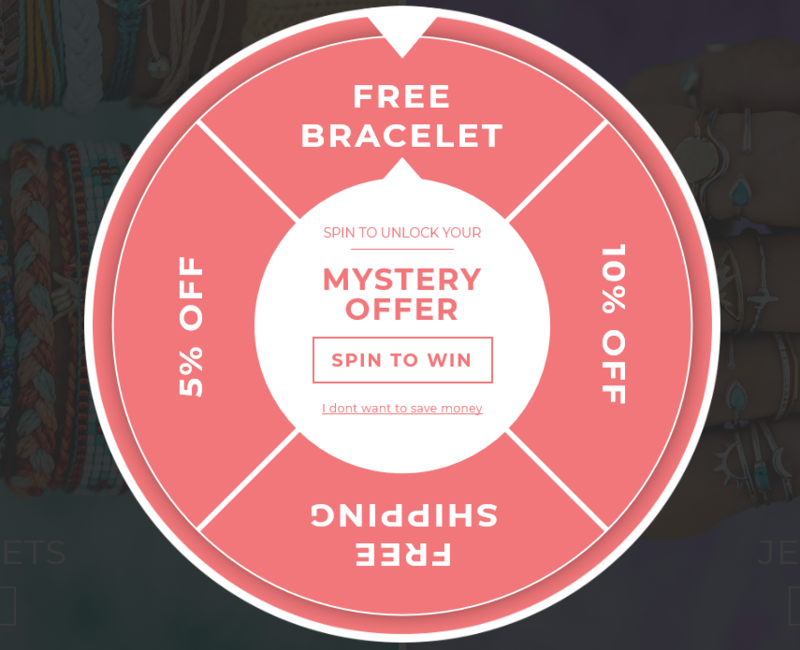 You can work with tools such as SiteKit to create a spin-to-win wheel popup like this from Pura Vida. A spin wheel will appear when visitors visit the site. They can spin the wheel to try their luck for winning anyone out of four rewards. Once the visitors unlock a freebie, they have to enter their email address to get the code. This is a good strategy to turn a boring optin form into an engaging one. You only have one chance to make an impression on your first-time visitors. If you can’t make it, you probably lose them. For this reason, it isn’t a good start if you show a sign-up form as soon as a visitor enters your site. 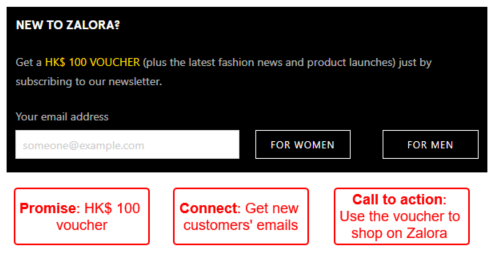 Instead, you can combine the popup and personalization to offer the visitor a personalized experience. More specifically, help them segment themselves based on their preferences, and then deliver relevant marketing bait. So, your visitors can feel like the offer is just for them and them only. Then, they would feel more inclined to take your offer. Let’s say you are a customer. When you go to Fabletics’ site for the first time and click “Get Started”, a survey popup will be shown to ask you your favorite way to get fit, your bottom size/top size/bra size preferences, etc. After you complete the survey, you will be asked to enter your email in exchange for an “exclusive offer”. This offer is uniquely and specifically for you. They’ve created hyper-targeted user segments. 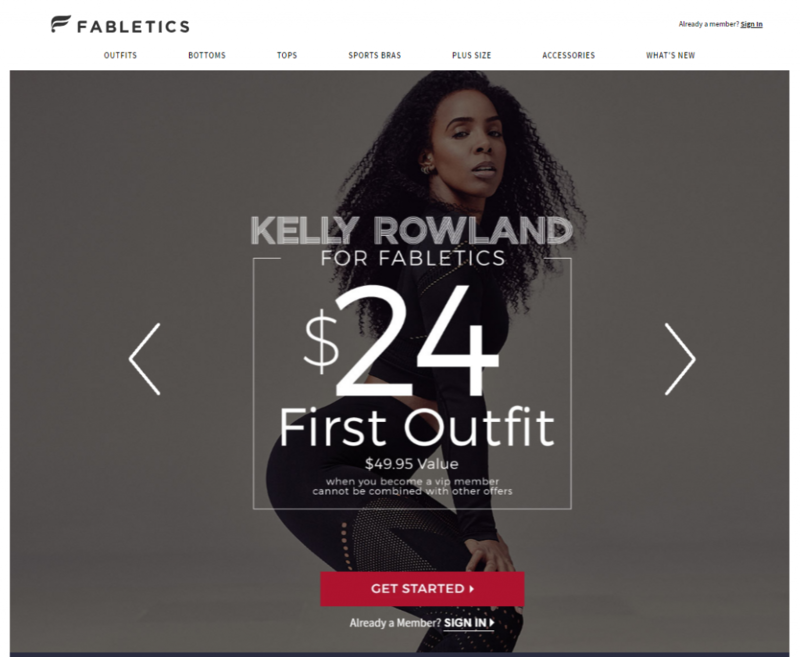 You may think the survey includes many steps, and Fabletics possibly collects fewer leads. It’s true. But those leads are more potential to convert into customers, based on the information they provided. Just go through their survey, and you surely know why. They’ve personalized the experience for return visitors. Showing the popup many times to a visitor who already left the email can backfire. Fabletics know this, too. So, they display ONLY the end screen to return visitors who already completed the survey but haven’t left their emails. 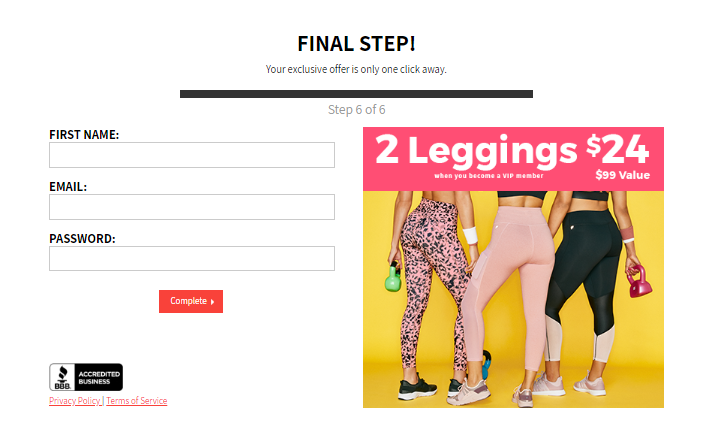 They specify the offer (2 leggings for $24) and even attach a dollar value ($99 value), rather than just saying “exclusive offer”. As you can see, Bike Exchange removes the boredom and makes their optin form more compelling, just using an image. You can either add real product images, drawing pictures, or any image that is closely relevant to what you’re offering and your brands. Besides images, you can also think about using animations to level up your optin form. If used correctly, moving elements will help you get the attention of your visitors and boost your conversion by 30%. Note: Be careful when using animation. Too much effect and excessive use of animation will have a negative impact on visitors, distract them, and lead to skipping the form. Hey, there are 9 more effective list building strategies to 2X your email list in less than one month. 👉 There are a lot of techniques to help you improve your email list building strategies. The key is giving them a try and doing lots of tests to choose the best practices for your brand. 👉 Put yourself in your customers’ shoes. Think about when and how they often go to your site, what they do on your site, and which they pay much attention to. Using these insights to decide the things you should use as lead magnets. 👉 Learn from other brands, especially your competitors.